Royal Marines Commandos/SBSFamous Green Beret With A Leather Band & Bow. Famous Green Beret & Badge. Royal Marines Commandos. The Royal Marines Commandos. NEW Royal Marines Commando-Issue Lovat Green Beret. Size 54cm. The beret is labelled a size 54cm. This is a new Royal Navy-Issue beret. I have also put a head-sizing guide below. It has a leather band with its full-length inner ribbon. It is fully lined on the interior with black cotton. Displaying The Royal Marines Commandos Famous Green Beret Badge. 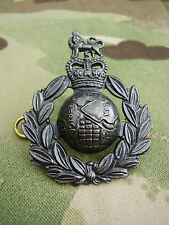 Famous Green Beret Badge. Royal Marines Commando. Ideal For All Serious Collectors Of The Royal Marines commando's. On Stable Belt Colours Military Flag. NEW Royal Navy Commandos Lovat-Green Beret & Badge. Size 54cm. The beret is labelled a size 54cm. This is a new Royal Navy-Issue beret. It has a leather band with its full-length inner ribbon. It is fully lined on the interior with black cotton. I have also put a head-sizing guide below. This Beret is a reproduction of the British Military Green Beret. Green Beret. This Beret is 100% Wool. Leather Banded. 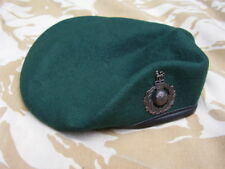 This Beret is a reproduction of the British Military Green Beret. Small 55cm - 56cm. Green Beret. This Beret is 100% Wool. This sale is for a size Small. Large 59cm - 60cm. Extra Large 61cm - 62cm. Leather Banded. GREEN BERET & MUDGUARDS. ROYAL MARINES COMMANDO. Displaying The Royal Marines Commandos Famous Green Beret Badge. Famous Green Beret Badge. SBS (Special Boat Service) Military Flag. Royal Marines Commando. Ideal For All Serious Collectors Of The Royal Marines commando's. Royal Marines Green Beret Hip Flask in stainless steel with badge. A presentation box is available at £1.95 extra. PURE WOOL ROYAL MARINES BERET. This is a Traditional military Beret hat, complete with Black Rear Ribbon and fine Black leather trim. In green wool with perfect fit on all sides so no cheap overhang.